What is a UTR Number? What to Do If I Have Lost My UTR Number? What is UTR (Unique Taxpayer Reference) Number? 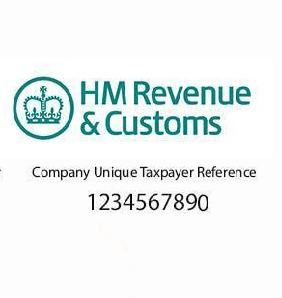 UTR Number or Unique Taxpayer Reference Number is a unique set of 10 digits, for example 1234567890, allocated automatically by HMRC for both individuals and companies that fall under tax payment section. It at times has a letter "K" at the end. You will automatically get your UTR number when you register for self-assessment or set up a limited company and is personal and private to the party it is allocated to. Format and digits of UTR, once issued remains in the same format forever. It is thus a distinct/unique code that is allocated by HMRC to an individual or a company to manage their tax obligations. One can find his UTR number on your previous tax returns and on documentations issued by HMRC like Tax Return SA100, a notice to complete a tax return SA316, Welcome to Self-Assessment SA250 or a statement of account. 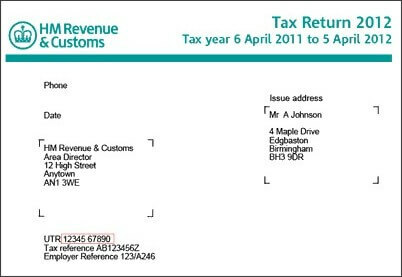 Depending on the type of document issued the reference number may be printed next to the headings "Tax Reference", "UTR" or "Official Use”. Why do I Need UTR Number? While registering for Self-Assessment Tax Return – In case you have submitted your Self-Assessment tax return without a valid UTR, then firstly it will not go through and secondly you have to pay late filing penalties with interest on it. If you are working with an accountant or anyone else who is helping you with your financial affairs. For payment of Corporation Tax – Corporation tax should be paid electronically within 9 months and 1 day after the end of each accounting period. The tax return should be submitted online no later than 12 months after the end of each accounting period and you will need your UTR number to complete this task. How Do I Get A UTR Number? Your UTR is the number that identifies you and HMRC links it with everything that you do and your tax arrangements. You will receive UTR number automatically once you register for your Self-Assessment Tax Return with HMRC, however you need to notify HMRC that you are self-employed for it to issue you one. In case HMRC discover that you are operating as a self-employed without notifying them or rather without registering for a UTR number, they can charge with you with heavy fines and in worst case, with a criminal prosecution as well. 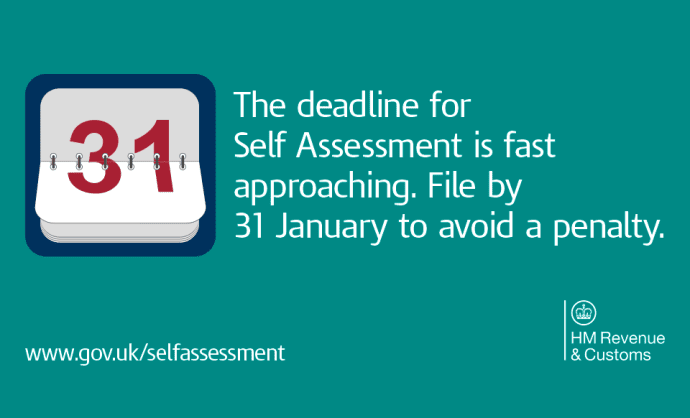 So, if you do not want to run from post to pillar at thirteenth hour of your deadline getting over, register for Self-Assessment Tax Return well in advance. As per HMRC officials, deadline to file your Self-Assessment Tax Return is 31st January and they can take up to 6 weeks to issue your UTR Number so you must register with HMRC latest by 20th December in order to be on safe side of the deadline. In case, if you miss the deadline, you may end up paying late filing penalty fees as heavy as £1600. Who Do I Call If I Have Lost My UTR Number? For any general enquiries, you can reach out to HMRC Helpline numbers during their working days. What Documents & Information Do I Need to Register for A UTR Number? To register for Self-Assessment with the HMRC, you need to fill up HMRC SA1 form and send the signed copy of it to the address mentioned on the form. It will take approx 6-8 weeks for you to receive your UTR number and activation code. How Do I Activate or Reactivate A UTR Number? Once you receive your activation code, you would require to activate your registration with HMRC within 28 days of receiving the code. You would need your activation code and UTR number to login to the HMRC website for further steps. Once logged in, you can navigate through various services listed on the HMRC website and select/choose the one which suits your requirement. In case you missed the date i.e. if you start the activation process on 29th day of receiving the activation code, you have to start the entire process all over again starting from filling up SA1 form. 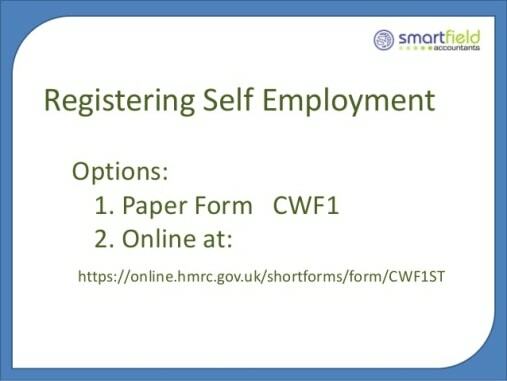 You can apply to HMRC on paper by filling CWF1 form. You would require National Insurance Number as well before you start with the process. You can call on the Newly Self-Employed Helpline number which is 0845 9154 515. The process of applying for UTR number is free of charge and can be availed by anyone. It is important to have your UTR number and it is equally important to keep it safely because you would need it for filing Self-Assessment Tax Payments and returns, for payment of Corporation Tax etc. If you lose your UTR number, you have to go through series of steps and identity validation checks before you have it and in this process you might miss your tax payment and filing deadlines. 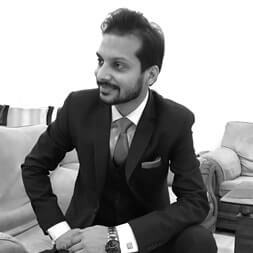 How to Apply for UTR Number for My Private Limited Company? Like individuals, Private Limited Company also has Unique Transaction Reference Number which is personal and private to them and comprises of 10 digits and can be found on HMRC official documents for example CT603, Notice to deliver a company tax return form etc. When you form a company (Private Limited), you have to incorporate it under Companies House ( in charge of all incorporated companies in UK), which will in return inform to HMRC. You don't need to inform to contact HMRC at this point of time. Once incorporated with the Companies House, HMRC will send its first official letter i.e. Form CT41G at your registered office address with its UTR Number. Till such time you receive UTR number of your company, you cannot register with HMRC for payment of Corporation Tax. Any correspondence with HMRC about Corporation Tax. Using HMRC commercial software for sending Company Tax Return. Date when you started trading with your business. Name of the company and its registration number (CRN). Main address where business activities are conducted. Type of business activities which will be carried out. Date when your annual accounts will be made up to. Based on above information, HMRC will work out your accounting period and deadlines for paying corporation tax and filing tax returns. Can I Use My UTR Number as My Company’s UTR Number? Perosnal UTR Number is different from company's UTR number because as soon as you incorporate your business with Companies House, it becomes a separate legal entity and two entities cannot have same UTR number.Individual UTR number can only be used by you to pay/file your Self-Assessment Tax Returns, to pay income tax and NIC on your personal income. What to Do If I Have Lost My UTR Number? Your UTR number is used by HMRC to identify you and your tax records and you would need to have this number to pay your Self-Assessment Tax Returns or Corporation Tax on time and within deadline. While there are certain other factors which can prevent you to do so, losing your UTR number will have a major consequence. So, you have ransacked your place trying to find one of the above mentioned documents and realize that you have lost your UTR number.In this case, your best option is to contact HMRC directly on their Helpline Number 0300 200 3310 or you can contact your local tax office. Officer at local tax office would require certain information related to your tax history for him to send you the reminder of your UTR number. After contacting HMRC you have to go through their series of validation checks and once your identity is comfirmed, they will send your UTR number to you by post in 7 working days. So in case you are already running behind deadline of tax filing, you have to pay late filing penalties along with due taxes. As they say, there is bright side to everything. In this case to save yourself from the hassle of remembering your UTR number, you can appoint an agent/accountant who does this for you and acts on your behalf when it comes to your tax affairs. However, in case, if he looses your UTR number, he would need a formal authorization letter from you to contact HMRC for your lost UTR number and thus he has to go through same validation checks by HMRC for his identity validation. 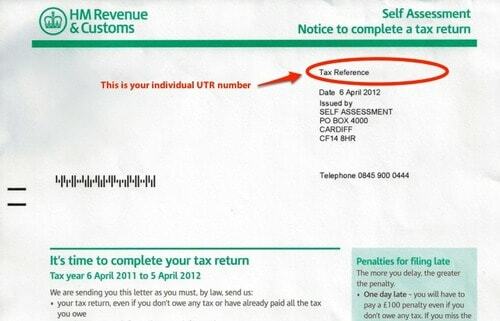 HMRC will take 7 days to send your UTR number in this case as well. Who do I call to get my UTR number? Where to find my UTR number? You can also find your UTR in your HMRC online account. Generally the whole process of getting a UTR Number takes around four weeks, but can take longer during the the end of the tax year. Is a UTR the same as a tax reference? No. The Unique Taxpayer Reference (UTR) is only issued by HM Revenue & Customs (HMRC) when you, or your client, have registered for Self Assessment. A tax reference number is provided for each employer or pension provider to identify their tax records with HM Revenue & Customs. It will usually be mentioned on a Tax Number pay slip each time a person is paid. You can also find it on form P45 & Form P60. How do I find my UTR Number Online? 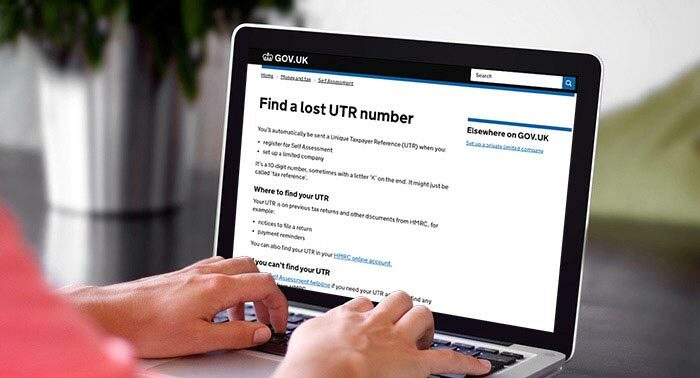 You can find your UTR number online in your Government Gateway account. Where do I find my unique tax reference? Do I need a UTR number for a limited company? What is UTR number in Neft transfer? What is the UTR no? How do I get my UTR number? Is a UTR the same as a tax reference? Where can I find my UTR Number? How Do I Get An HMRC User ID, Password And UTR? How do I find my UTR Number Online?